Although education in Hong Kong belongs to the top of the world, there are plenty opportunities for innovation. For this reason the most important fund for social innovation in Hong Kong started an ambitious programme for excellent and innovation-minded teachers, carried out by Ednovators and Kennisland. 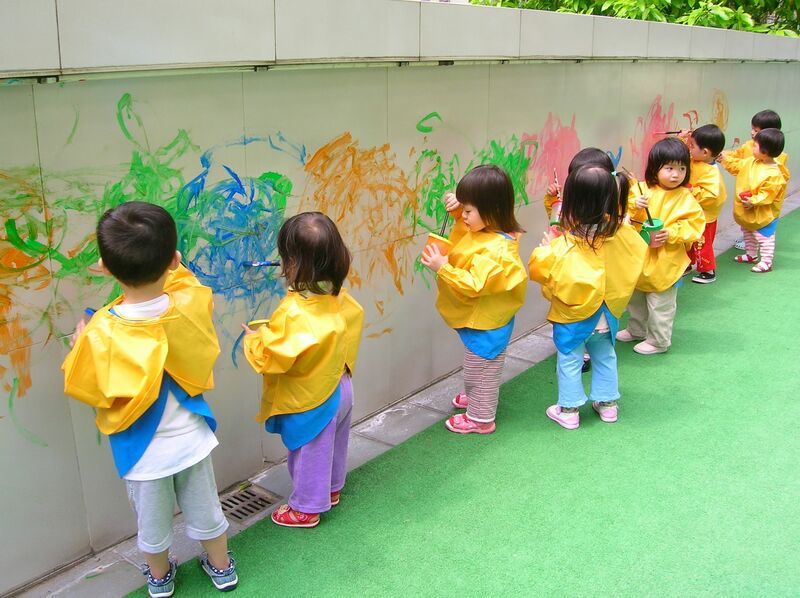 Little children in Hong Kong. Although education in Hong Kong++KL in Hong KongRead more about other projects we do in Hong Kong. belongs to the top of the world (ninth place according to Pisa in 2015), there are plenty opportunities for innovation. There are many dropouts, teachers experience high workloads and the education system has a main focus on knowledge transfer instead of teaching essential competences for the future. For this reason The Hong Kong Jockey Club – the most important fund for social innovation in Hong Kong – started an ambitious three-year programme: Innopower@JC: Fellowship for Teachers. This is a programme for excellent and innovation-minded teachers, carried out by Ednovators and Kennisland. The programme, which is largely inspired by Education Pioneers++Education PioneersTake a look at our case ‘Teachers as Education Pioneers’. developed by Kennisland, will support the teachers to become excellent educationThe programme is largely inspired by Education Pioneers, developed by Kennisland, will support the teachers to become excellent education innovators, as well as excellent teachers. innovators, as well as excellent teachers. Every year ten teachers are selected for a fellowship. This fellowship consists of a ten-week sabbatical of which two weeks are abroad, and a scholarship for realising an innovation project in their own schools. Kennisland helps designing this programme, facilitates the kick-off for the selected teachers in Hong Kong and receives a delegation of teachers for an Education Safari in The Netherlands. The Teacher Fellowship started this year with ten teachers. These teachers start their sabbatical in April with the aim of reflecting on their education, to learn from and become inspired by examples abroad and get to know other education systems. During the programme each teacher will travel to the Netherlands and brings two colleagues. For thisKennisland contributes to a culture of education innovation in Hong Kong, and gains a new perspective on the Dutch education system. group Kennisland designed an Education Safari between May 15th and 19th. This includes, for example, visits to innovative schools, consults with the Education Inspection and the Ministry of Education and innovators from the field. To form an international network of education innovators, the teachers will be introduced to our Dutch Education Pioneers. In this way, Kennisland can contribute to a culture of education innovation in Hong Kong, as well as gaining a new perspective on the Dutch education system and on new ways of successful innovation.